Before you tie the knot, make sure the rope is strong. Let these insightful and inspiring devotions minister to your heart as you begin to develop a daily habit of spending time with God. 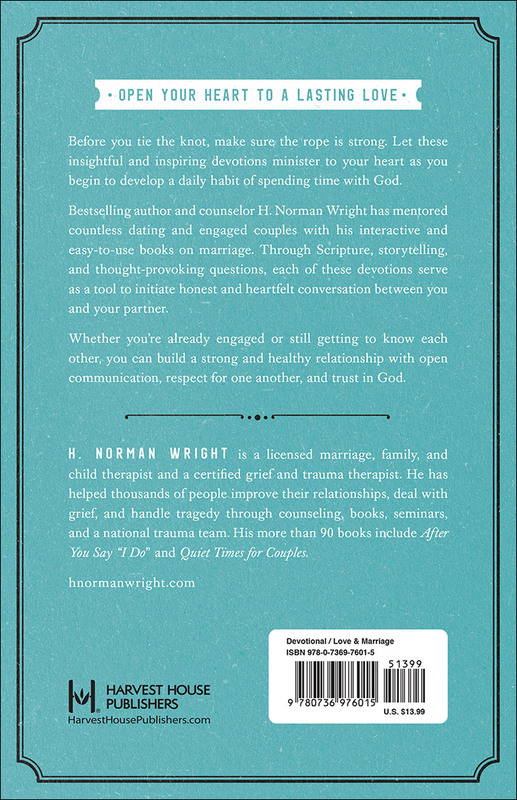 Best-selling author and counselor H. Norman Wright’s has mentored more than a million dating and engaged couples with his interactive and easy-to-use books on marriage. Through Scripture, storytelling, and thought-provoking questions, each of these devotions serve as a tool to initiate honest and heartfelt conversation between you and your partner. Whether you’re already engaged or still getting to know each other, you can build a strong and healthy relationship with open communication, respect for one another, and trust in God. "Entering in to marriage is not something that should be taken lightly. Therefore any chance to build a strong foundation that will sustain a couple through a lifetime together should be taken immediately. Author H. Norman Wright has done just that—he has provided a wonderful devotion for couples that will help them to build that strong foundation that they will use in their marriage starting from the very beginning—BEFORE marriage. 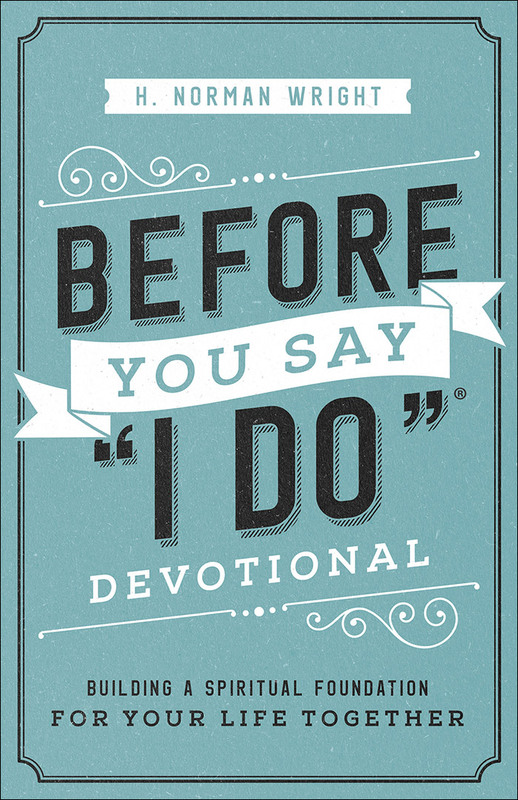 Each devotion is short, yet wonderfully written—easy to read and packing a powerful punch. These short easily read devotions will truly help the couple to spend a few moments each day focusing on God and their own relationships with Him and with one another. The soon to be married couple will find a wonderful tool to help them build a relationship that is solid and Biblically based. This is an excellent start for any marriage and a must read for couples that are engaged."